ON THE 6TH DAY OF CHRISTMAS… SANTA CAN GIVE TO ME.. A SIX BUTTON CAMEL CAPE THAT I CAN WEAR WITH THE GIRLIES FOR TEA!! 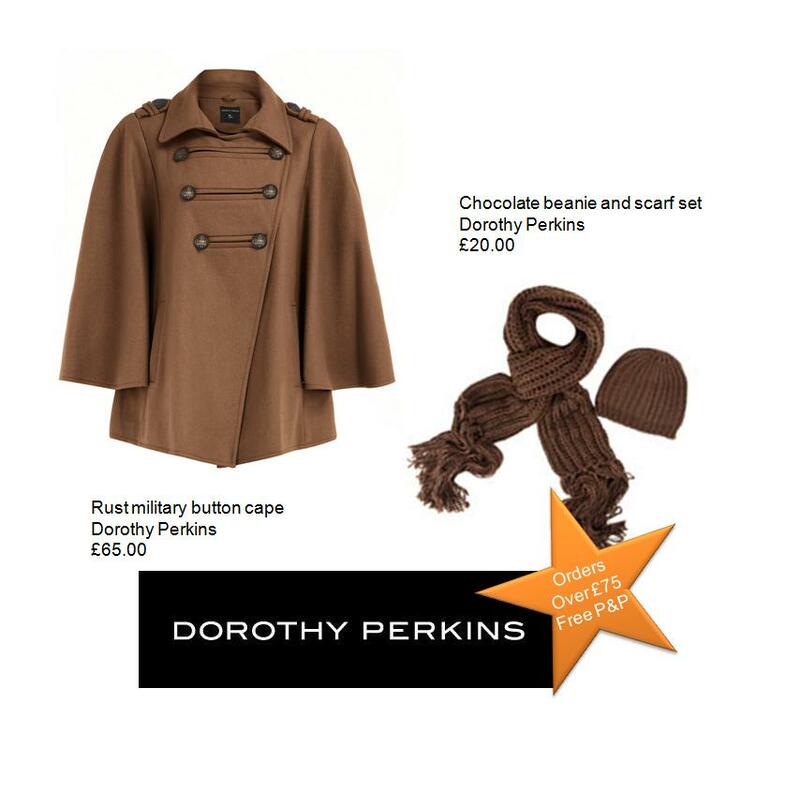 I chose this six button Cape from High Street store Dorothy Perkins as the perfect gift.. this colour can easily be paired up with Winter accessories i.e. warm chocolate brown scarf and hat. The best thing about it is that Dorothy Perkins offer free Postage and Packaging when you spend over £75 soooooo in shopaholic language you need to CLICK CLICK CLICK!!! Celebrity Clare Watson showed me that the colour Camel works best when using it on Statement Pieces i.e. a jacket, bag etc. There are SOOO many Stores to get great camel pieces but my favourite item is the camel coloured Cape! Previous Post ON THE 5TH DAY OF CHRISTMAS.. SANTA CAN GIVE TO ME A 5 PIECE SET FROM THE JEWELLERY SHOP MIKEY! !